Scott Pernicka was born in Santa Fe and grew up on a cattle ranch in northern New Mexico. In college, Scott enjoyed experimenting with three dimensional space in sculpture and discovered the importance of color in painting. 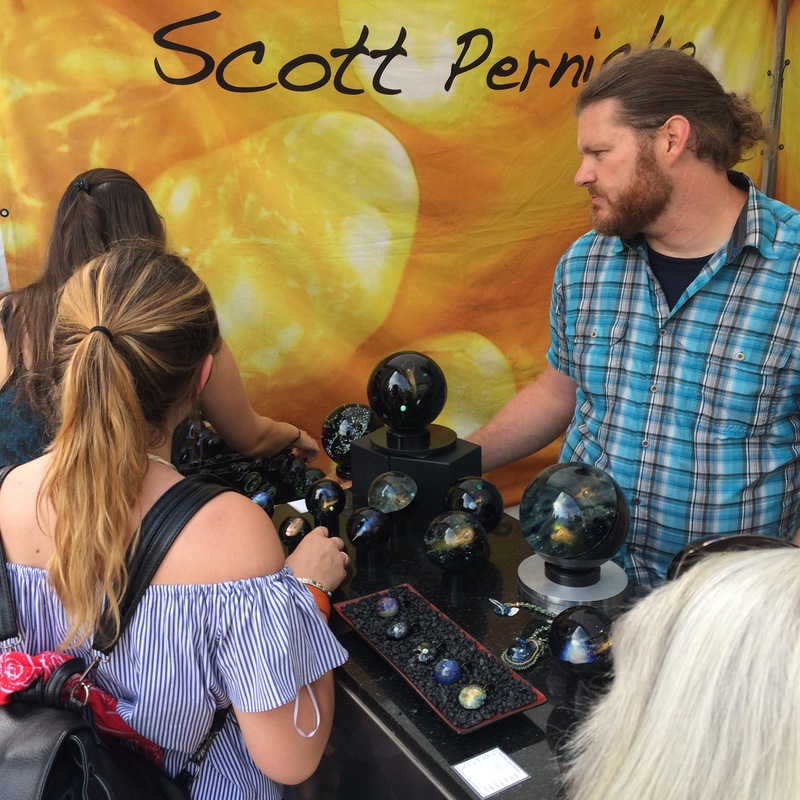 Working in glass for over 20 years, Scott strives to push the boundaries of color and form on his on-going quest to find new creative possibilities in his art practice. Scott’s work can be found in galleries across the United States and are held in private collections throughout the world. I’ve always had an interest in sculpture, painting and science with an eagerness to rise to a difficult challenge and succeed with beautiful color. Handcrafted artisan glass was the answer to my artistic inquiries and I have been sculpting glass into works of art since 1996. My main concentration, and what has gained me the most notoriety, are vortex marbles. These perfectly round sphere with spirals of color, play with optics and physics to create visual depths that transcend the physicality of the piece itself. With meticulous rigor, I use a flameworking process to melt and shape high-quality Borosilicate glass at temperatures over 3000 degrees. Color is added using different types of crystallized metal and metal oxides. I view my work as tangible way to capture magic and wonder and contain it a handheld illusion with no curtain to hide behind.